Prior to joining the Bay State Physical Therapy team, Tom was the President of the South Shore Physician Ambulatory Enterprise, a $100M+, multi-specialty physician practice subsidiary of the South Shore Health System, located in Weymouth, MA. Tom was named the President of the SSPAE in August 2015 after he led the efforts to merge the physician practice where he served as the CEO, South Shore Medical Center into the Health System. Prior to his role as SSMC’s CEO, Tom was the CFO at the practice for 16 years. In his leadership roles at South Shore Medical, Tom leveraged his broad healthcare experience obtained at Harvard Pilgrim Health Care and Emerson Hospital along with financial acumen, to transform the two-site practice into a clinically integrated, regional healthcare practice with over 85 physicians, 30 advanced practice clinicians and 500 staff caring for over 70,000 patients. This transformation was fueled by a growth strategy focused on a commitment to the patient care experience, physician recruitment and engagement and strong performance in global payment contracts. Tom is a graduate of Babson College and earned his Master’s Degree in Business Administration from Boston University. He is a resident of Hanover, MA where he lives with his wife and four children. 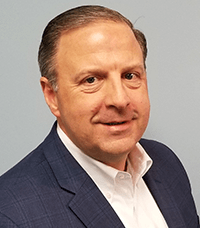 Tom is active in his community where he serves as the Vice-Chair of the Board of Trustees for Massasoit Community College, Chair of the College’s Audit & Finance Committee and is a member of the College’s Foundation Board of Directors. He is also the Commissioner of Hanover’s youth basketball program, a position he has held for the past 10 years.